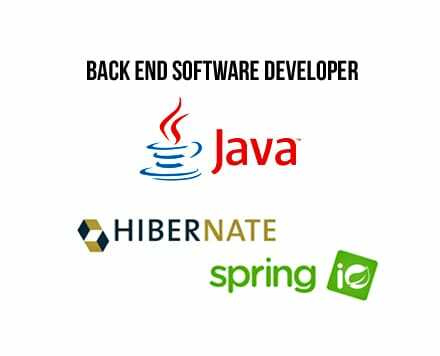 But in simple terms, the Back End developer usually has a good syntactical understanding of the code that controls three distinct areas of an applications process of events. First server side processes, second the logic center of the application you are working on, and third the functions that require information to be sent to a database. If you book a hotel or buy movie tickets, you usually open a website and enter information into a form which when you press the submit button the information is validated and sent to the database. The form resides in the frontend world, it’s client based, and is away from the main server. Once the button is pressed on screen how ever then the world of the Back End Developer starts up. Developers will talk about MVC. An acronym that stands for Model, View and Controller. NET developers speak about MVC slightly different than that of JAVA developers but fundamentally the following statement is true. Back End Developers work more in the Model and Controller sections of the process. The model holds the keys for managing the DAL or the Data Access Layer. The Model layer is where the data has finally come to rest in the database. The Controller is referenced from within the Business Access Layer. This layer controls the logic of the flow of information. The key things that need to happen when data is transacted with. This information is translated, transformed along a framework of informational branches and is controlled using different core snippets of code for which a BACK END DEVELOPER has a strong understanding of. Technologies that assist in the passing of this information are PHP, AJAX, JQUERY, HIBERNATE, SPRING and other frameworks and tools will make this happen. The Back End developer needs to know how to manage the journey of the data/information that is being sent along the pipeline. The Back End developer knows how this process can be broken, what they need to do to fix it and how can the delivery of information be processed as fast as possible.